Last July, with Anchorage officials exploring the possible sale of the city's power utility, Municipal Light & Power, the city signed a contract with a major finance company to figure out exactly how much the utility was worth. The result, a detailed 23-page financial analysis by Goldman Sachs, sheds new light on the city's decision to sell ML&P to the member-owned Anchorage cooperative Chugach Electric — and the $1 billion purchase price. The document was obtained Friday by the Anchorage Daily News under a public records request. Until now, city officials had kept the report confidential, citing contract agreements. Members of the Anchorage Assembly reviewed portions of the document in closed sessions with city executives. In one analysis, the report valued ML&P between $707 million and roughly $1 billion, putting the offer from Chugach Electric at the upper limit of what the company is worth. The report was completed in August. Chugach Electric officials had not seen it before Friday. Lee Thibert, the CEO of Chugach Electric, said in a statement that while his company was still analyzing the report, "after first review we believe our offer is consistent with the valuation." The sale is coming before voters in the upcoming Anchorage city election. The city needs voter approval to negotiate a sale document with Chugach Electric. The Regulatory Commission of Alaska must then approve the sale. In exploring options for the city, the Goldman Sachs report showed that ML&P would have to raise electric rates every two years to maintain ownership and maximize profits. The utility has historically seen profit margins well below its target, according to the report. Julie Hasquet, a spokeswoman for Chugach Electric, reiterated the company's commitment that rates would not increase as a result of the sale. That is stated in the ballot initiative, she said. Rate increases were not part of the structure of the deal, Hasquet said. Chugach Electric covers most of the Anchorage Bowl, while ML&P covers downtown, Midtown and parts of East Anchorage. "As a not-for-profit cooperative, we are not looking for a 10 percent rate of return," Hasquet wrote in an email. 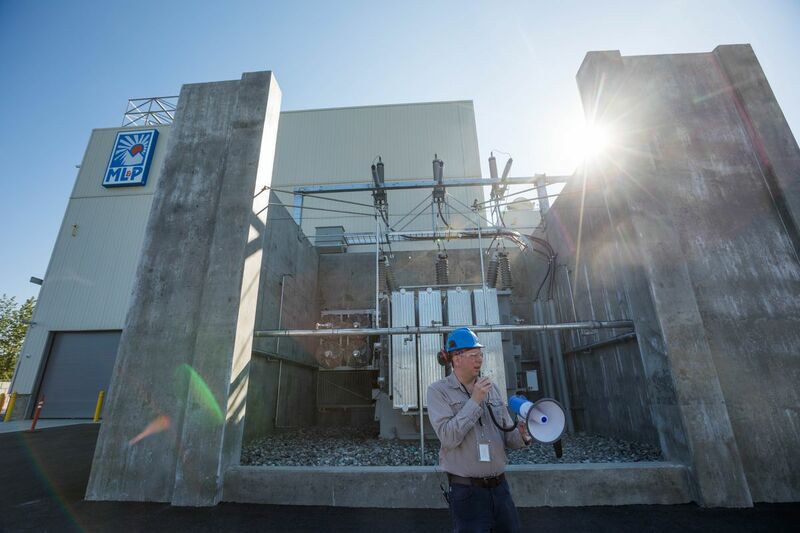 "Additionally, as a not-for-profit co-op, we have the lowest cost rate structure of any electric utility business model, including municipal or investor-owned. At the Assembly meeting earlier this week, several people said they were concerned the financial analysis had not been shared publicly. Keith Silver, a South Anchorage resident, said the city had used tax money to pay for it and should make it public. Martina Ryan, a contracted accountant for ML&P, said she was "disquieted" that the document had been kept secret. She said citizens should have the document to make an informed decision about the sale. On Friday, City Manager Bill Falsey indicated that contract agreements had prevented the city from voluntarily releasing the Goldman Sachs report, but the agreements were still subject to public records requests. Some Assembly members referenced the report in general terms Tuesday while saying they supported the sale to Chugach Electric. "This is a good deal, from all the information that I have," Assemblywoman Amy Demboski said Tuesday. "Provided it all pans out, based on multiple factors on everything I've seen, I think this is the best deal presented to me." To make the analysis, Goldman Sachs looked at other publicly traded utilities and recent acquisitions and mergers in the Lower 48 and Alaska. That included the 2014 acquisition of Juneau-based Alaska Electric Light & Power by Washington state's Avista Corp. for $170 million. The city and ML&P also came up with projections on the utility's finances, both now and in the future, the report says. "It is clear from this analysis that ML&P can have tremendous value to the MOA, either through retained ownership or through a sale to a third party," analysts concluded at the end of the report. The report looked at ways the city could approach a sale. There were three top contenders listed: Chugach Electric, Matanuska Electric Association and Avista, the owner of the Juneau electric utility. Chugach Electric was described as having the "greatest potential for synergies" and the lowest cost of capital, according to the report. The report recommended that the city hold a public vote on a possible sale before soliciting buyers. Goldman Sachs was paid $50,000 for the work, said Kristin DeSmith, city spokeswoman. The analysis gave the city "some comfort" about the offer price from Chugach Electric, said Falsey, the city manager. He said the report also helped the city examine other alternatives to selling ML&P. "There were other things to do with the utility, but all of them involved significant upward rate pressure," Falsey said. ML&P has historically gone between three and seven years without seeking a rate increase and then hiked rates modestly. In 2016, ML&P got permission to levy a big rate increase, to be phased in over 2017 and 2018. The spiking rates led the Anchorage Economic Development Corp. to create a working group that recommended the city look at a merger or sale of the utility. In June 2017, a month before the city signed the contract with Goldman Sachs, the Assembly passed a resolution urging the city, ML&P and Chugach Electric Association to begin looking at a merger.